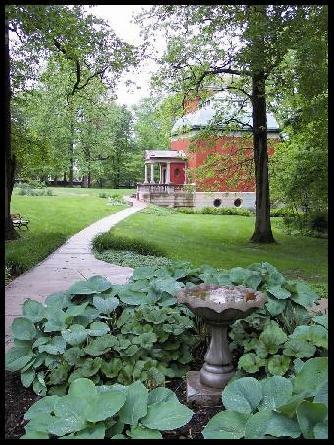 I went to college in Crawfordsville, Indiana, at the small but well-respected Wabash College. Crawfordsville happens to have been the home of General Lew Wallace in his final years, and the location where he wrote the famous novel (which became a more famous Oscar winning movie) Ben Hur. 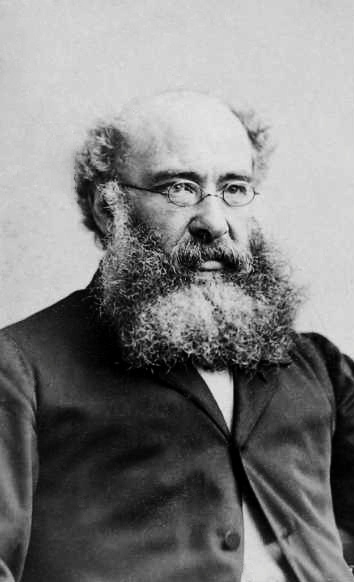 Wallace was one of the town’s most famous citizens. His name is still on things all over town, including a motel and lounge. The town’s main theater, The Strand (sadly, no longer standing) showed Ben-Hur every spring around Easter, and I’m happy to say one year I took in the show in what must have been something resembling the original movie experience from 1959 (The Strand was one of those classic old, huge theaters that have largely disappeared in the age of the multiplex). During my college years I became a habitual walker. The odd schedules that college students generally keep led me to even become a frequent walker late at night. I considered these late night walks “study breaks.” I walked all over town, sometimes logging several miles, admiring the many old and architecturally interesting houses in the quiet solitude of the late hour. 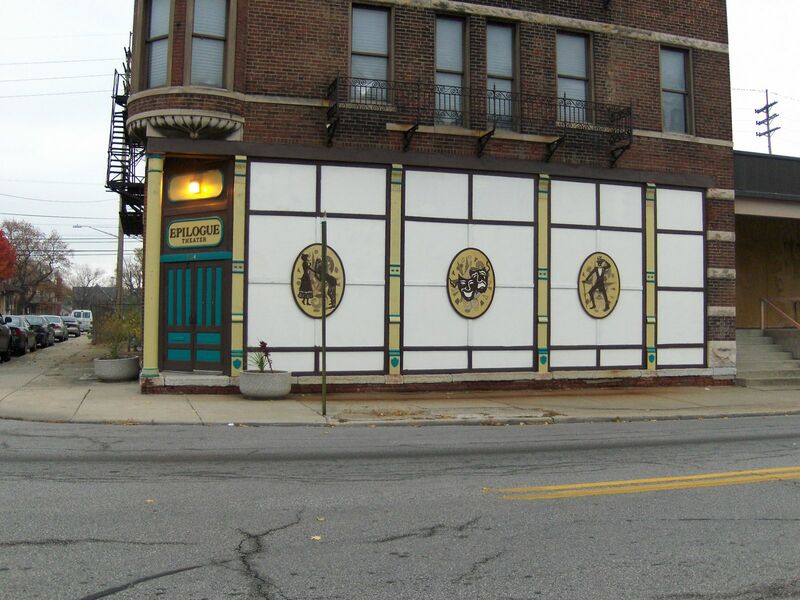 On one of these late night wanderings I “discovered” the Lew Wallace study, a historic landmark and museum. It became a favorite terminus of many of my walks. “I have said that John Eames had been petted by none but his mother, but I would not have it supposed, on this account that John Eames has no friends. There is a class of young men who never get petted, though they may not be the less esteemed or perhaps loved. They do not come forth to the world as Apollos, nor shine at all, keeping what light they may have for inward purposes. Such young men are often awkward, ungainly, and not yet formed in their gait; they straggle with their limbs, and are shy; words do not come to them with ease, when words are required, among any but their accustomed associates. Social meetings are periods of penance to them, and any appearance in public will unnerve them. They go much about alone, and blush when women speak to them. 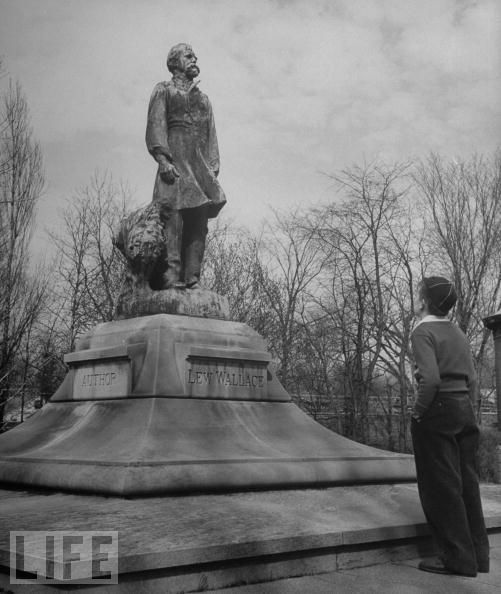 In truth, they are not as yet men, whatever the number may be of their years; and, as they are no longer boys, the world has found for them the ungraceful name of hobbledehoy. Such observations, however, as I have been enabled to make in this matter have led me to believe that the hobbledehoy is by no means the least valuable species of the human race. When I compare the hobbledehoy of one or two and twenty to some finished Apollo of the same age, I regard the former as unripe fruit, and the latter as fruit that is ripe. Then comes the question as to the two fruits. Which is the better fruit, that which ripens early-which is, perhaps, favoured with some little forcing apparatus, or which, at least, is backed by the warmth of a southern wall; or that fruit of slower growth, as to which nature works without assistance, on which the sun operates in its own time – or perhaps never operates if some ungenial shade has been allowed to interpose itself? The world, no doubt, is in favour of the forcing apparatus or of the southern wall. The fruit comes certainly, and at an assured period. It is spotless, speck-less, and of a certain quality by no means despicable. The owner has it when he wants it, and it serves its turn. But, nevertheless, according to my thinking, the fullest flavor of the sun is given to that other fruit – is given in the sun’s own good time, if so be that no ungenial shade has interposed itself. I like the smack of the natural growth, and like it, perhaps, the better because that which has been obtained without favour. But the hobbledehoy, though he blushes when women address him, and is uneasy even when he is near them, though he is not master of his limbs in a ball-room, and is hardly master of his tongue at any time, is the most eloquent of beings, and especially eloquent among beautiful women. He enjoys all the triumphs of a Don Juan, without any of Don Juan’s heartlessness, and is able to conquer in all encounters, through the force of his wit and the sweetness of his voice. But this eloquence is heard only by his own inner ears, and these triumphs are the triumphs of his imagination. This book has been on the best seller lists for quite some time now. It’s been a wildly popular book club selection. (I remember hearing about it at the Barnes & Noble form about book clubs that I attended last year). Based on that, I mentioned it to my fellow book-clubbers, and one of them added it to our “virtual bookshelf” of potential reads. It was picked for our March 2011 book. I’m always interested in books that become uber-popular. When I read them, I find myself unable to resist trying to figure out what is it about this particular book that has made it so popular above and beyond “normal” popularity. I wonder if part of the reason for this one is the “rooting for the underdog factor.” I want Skeeter Phelan to succeed. I want Abeleine’s story to be told. I want Milly to escape her abusive husband and improve her life. There’s also a component of “the villain you love to hate factor.” How despicable is Hilly Holbrook? The New York Times review of this book describes her as such a witch “the readers want to see someone drop a house on her.” I think she is made more loathsome since she conducts her villainy under a mask of gentility. 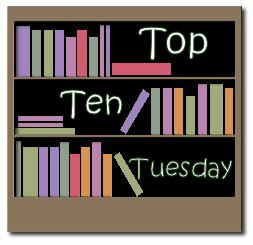 I am reminded of my top ten literary villains list post from last year where one of my “favorites” was Ellsworth Toohey from The Fountainhead. The villain who masquerades as a crusader for good. Those are the most despicable kind. Never underestimate the literary power of a good villain! I’m not generally a fan of the multiple viewpoint novel. I often find it distracting. Just as I’ve settled into reading from Skeeter’s viewpoint, we switch back to Milly’s (Oh, and all of these are written in the First Person) with her different attitudes and different language. Then, just as I’d get used to that, we’d switch over to Abeleine’s. This isn’t my preferred way to read, but in this case it wasn’t that bad. I was able to deal with it. I remember one of my earliest experiences with the multiple-viewpoint novel was Bram Stoker’s Dracula. Written in epistolary style with multiple letter writers (or gramophone recorders in one case), I found it distracting as well. Stockett weaves in some “reality” to the story with brief mentions of actual historic events. The murder of Medgar Evers, The Vietnam War, The assassination of JFK, the civil rights marches, etc. This helps put the novel in historical context, but I was continually surprised by the naivete of the Skeeter character. How she repeatedly doesn’t realize the full danger and “explosiveness” of the situation she and the maids are in, how she doesn’t keep close enough tabs on her satchel, and several other instances just stretch the limits of my credibility. I guess we can say she is young and just write it off to that, but she’s a college graduate and supposedly a journalist and writer. Maybe her lack of experience (also further illustrated by her somewhat awkward relationship with Stuart Whitworth) in the world makes this believable, but I struggled with it. Several members of my book club pointed out that they “kept waiting for something terrible to happen” to the maids or to Skeeter, but it never really does – this also stretched the limits of my credibility. Another thing I liked about the book was the editor character in New York, Mrs. Stein, and her “detached mentoring” of Skeeter. I loved the first letter she sent Skeeter and how she concluded it: I do this only because someone once did the same for me… I thought that was great. It reminded me of a passage from Stephen King’s excellent non-fiction book, On Writing. He had already been experimenting with writing for years in school, and finally – in an effort to channel his mischief elsewhere – his school administrators shepherd him into a part time job for the local paper (as in a Real World writing job). King includes a photocopy of his first article’s submitted text with the editor’s mark-ups. It was an epiphany for him. I can’t remember the exact language but he basically says, “why couldn’t someone have told me this long ago?” That is also a great book, by the way, part biography, part writing instruction. Have you read The Help? What did you think of it? Why do you think it’s been so very popular? Enough already. I can appreciate trying to cash in on the Twilight Series, but there’s more to life (or death!) than vampires! So, stop the madness already. Please! 8.) Struggling with the decision on whether to keep going forward with a book you’re just not “feeling” or giving it up and moving on. I almost never abandon books, and it’s true that the further you go the harder it is to give up. (one hates to think that time investment was for nothing, I suppose). I fear I may face this decision soon with The Small House at Allington. Thirty pages in and still waiting for “something to happen.” On the flip side, though, I remember having to start Hardy’s The Return of the Native (oh, those interminable bonfire and furze scenes at the beginning!) several times before it “took,” and it has become one of my all time favorites. Especially “An Oprah’s book club selection” stickers. I’ve had to painstakingly remove a couple of them – I mean, what if someone saw me reading it and assumed I am a supporter of Oprah and every pseudo scientific woo-peddler she gives uncritical acceptance to on her show. I cant have that. 6) The high price of books. I understand it’s necessary for credibility, but it’s just so dang hard for me to read (a recent example which I whined, er, posted about was Kathryn Stockett’s The Help; I also struggled with Sir Walter Scott’s insertion of Scottish-written dialect. Maybe I was born without the gene that allows one to adapt to reading eye-dialect. 3) People in book clubs who “won’t” read. (throwing this in here in case any of my fellow book clubbers are reading). So that’s it. Yes, I am a bitter man! 🙂 What pet peeves do we share? Am I “wrong” about any of these? Short stories really are a different animal than full-length novels. Even among short stories there are many types and forms. I used to sometimes think that short stories were more like photographs, that captured a moment in time for a character or event, while novels were like watching a motion picture where you “see everything” there is to see. This morning I read the Hemingway story, “A Clean, Well Lighted Place” as part of my 2011 short story reading project. This story is even short for a short story (not quite five pages in my edition) and to continue the analogy above, would be a photograph with a much quicker shutter speed. It still worked for me. I’ve had this book, The Short Stories by Ernest Hemingway on my bookshelf for years but have never ventured to delve into it. I don’t know why. I wonder if it’s because my image of the man is a distasteful one. A narcissistic alcoholic? I don’t know anything from my own research so this may be unfair. 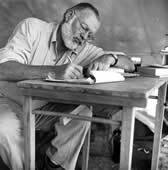 Perhaps reading a biography of Hemingway is in order. “I am of those who like to stay late at the cafe,” he says. “With all those who do not want to go to bed. With all those that need a light for the night.” Later the older waiter says, “Each night I am reluctant to close up because there may be someone who needs the cafe.” Later he says to the young waiter, “You do not understand. This is a clean and pleasant cafe. It is well lighted.” these few sentences capture the essence of the story for me. True, there’s not much “action,” but I enjoyed the ten or fifteen minutes I “spent in the cafe” this morning. What about you? What do you know about and what have you read by Hemingway? Where should I turn for my next Hemingway read? I finished this story late Saturday night. It’s one of those stories that is imbedded in the cultural consciousness of America. Indeed, it was one of the earliest examples of American Literature AND was written by one of its pioneers. 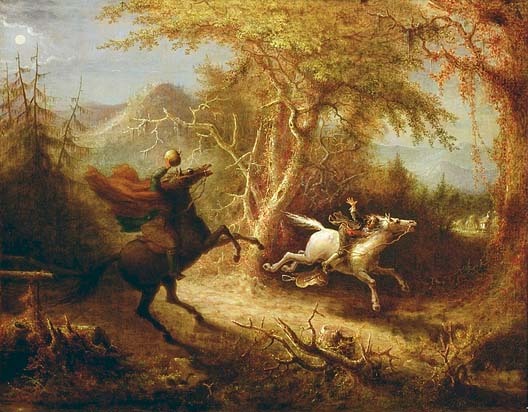 Who among us didn’t learn or hear the story of “The Headless Horseman” when we were growing up? 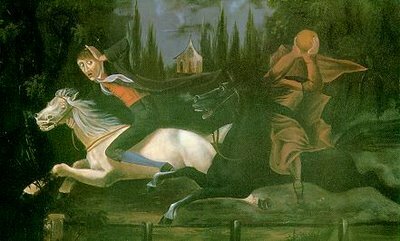 The image of a horseman without a head is an irresistible horror icon to the young, reinforced every year around the time of Halloween. Note: My following comments assume one is already familiar with the basics of the story. The actual “supernatural” portion of this tale only takes up the last few pages, and there is some pretty compelling evidence given by the author that nothing supernatural happened at all – that the Headless Horseman’s appearance was just a charade by Brom Bones and/or his “gang.” Sure, we learn that poor Ichabod “most firmly and potently believed” in witchcraft and the supernatural, but it seems to me that the local legend of the horseman is only the framework around which the story of an awkward schoolmaster and his unrealized dreams of happiness is told. I re-read this story just after finishing my book club’s march assignment, Kathryn Stockett’s The Help, to which – although I enjoyed it – the beauty of Irving’s prose in comparison was quite refreshing. His early descriptions of the landscape of Sleepy Hollow are wonderful, and his characterization of the unfortunate Ichabod Crane – including the physical descriptions – rekindled my appreciation for really fine writing. (” …hands that dangled a mile out of his sleeves, and feet that might be taken as shovels…”, etc.). Crane is a late 18th Century nerd! Words that are probably just as true today as they were when they were written roughly two-hundred years ago. A busy weekend prevented me from reading my weekly short story already, but I did draw a card from the deck, getting the five of hearts, which directs me to read Washington Irving’s The Legend of Sleepy Hollow. I know I’ve read this before, but it may have been almost 20 years ago now. I’m looking forward to revisiting it in more depth now that I have a couple more decades of reading under my belt. Any Washington Irving fans out there? 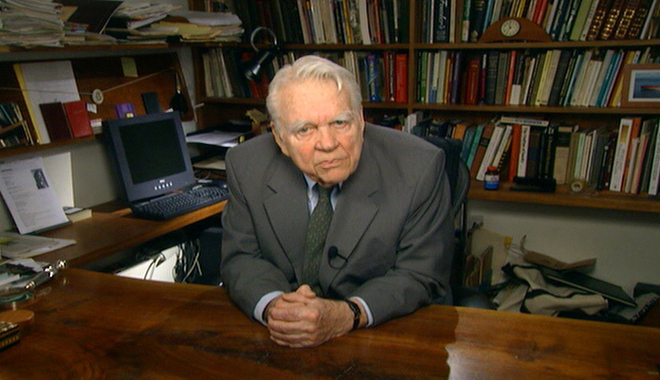 A co-worker pointed out to me that Andy Rooney’s bit at the end of 60 Minutes last night was about e-readers, and how he prefers books. (Everyone who’s surprised, please raise their hands. Anyone?!?) Anyway, here is a link to watch his piece. Nothing too surprising there for me. I agree and appreciate there is comfort in being surrounded by books in your office or workspace (I am too – at my home “office” anyway) but I love the accessibility AND the portability of lugging around the equivalent of a few crates of books with you at all times. I think he didn’t like that one of his older efforts was a free eBook now, too. Oh well, he gets paid to be a crotchety old man, doesn’t he? Anyone catch this last night? Or what do you think after watching the link to the video? This is my book club’s book for March. It’s a bit longer so I thought I’d better get started. My first thoughts are that it’ll go fairly quick, BUT I hate (I absolutely HATE) reading books with non-standard English dialects spelled out (like saying “Law..” when the speaker means “Lord…” or “instead a” rather than “instead of.” I guess the dialogue wouldn’t read true otherwise, but it feels like I’m playing a musical instrument that’s been tuned wrong, and will have to make an adjustment back to “normal” English when I’m done. Maybe this is me being a literary snob. Does this bother anyone else? I knew something would have to give this week. For a variety of reasons, I had several nights in a row with minimal sleep and then Friday night, when I should’ve been able to catch up, I instead foolishly agreed to go out after work for a few beers. This led to yet another night of inadequate sleep so I pinned all my hopes on last night (Saturday). I also had about sixty pages yet to read of To Kill a Mockingbird, so about 9:45pm I lay down in bed determining to finish the book or at least read myself to sleep. Naturally, I only got through about five pages before finding myself starting to drift off. I happily gave in to this and lay the book on my bed stand, looking forward to sleeping the sleep of the dead. As so often happens when I’m sleep deprived, I must’ve entered into REM sleep very quickly, and I had some vivid dreams. Things started to turn south when I dreamt that someone had entered my residence while I was in the bedroom sleeping. In my dream, I went out to the living room, and clearly someone had come in or out through the sliding patio doors, leaving them unlocked and my vertical blinds in disarray. Still in my dream I sat on the couch and a female friend who was suddenly present was going to sit up with me and “keep watch” (I guess for additional intruders). I remember at one point jolting alert and saying to her, “There it is again! Did you hear that?” Both of us were continually drifting off to sleep though (still within the dream) and I don’t remember what we did about whatever it was I’d heard. The last thing from the dream that I consciously remember as part of the “known dream” was realizing that I and my friend had kind of snuggled up together in sleep, and not really caring too much about it, as it was a comfortable feeling. 🙂 Then I “woke up” from this dream within a dream and I was back in bed – where I really was sleeping, as opposed to the couch in my dream – and I could still feel entangled with another “person.” I remember thinking, “this is weird, ’cause THAT was in a dream.” I realized quickly, however, that this entangling was not comfortable. In fact, it was decidedly uncomfortable and on the verge of suffocating. I felt like I was in someone’s powerful bear hug. I remember trying to extricate myself but barely being able to move my arms. This other presence was clutching me tightly, and I could feel “her” body pressing into mine, but something was very wrong. I could feel hair, but it was coarse like twine, and “in the wrong places.” Panic was setting in as I had begun to realize that there was some kind of “creature” embracing me. Mercifully, my rational mind began to regain control at this point (I even had the thought, “this sounds just like a classic case of sleep paralysis.”), and I started to wake up “for real.” I still couldn’t quite move, though, but somehow this other presence was dissipating and I could palpably sense less and less weight until finally I was able to open my eyes and I was laying on my right side with my arms across my chest more or less hugging myself. I looked at the clock and it was only 10:30pm. I was too scared to go back to sleep for quite awhile. I turned the radio on, and even tried reading some more to try to regain my footing in the real world. It was a terrifying experience. 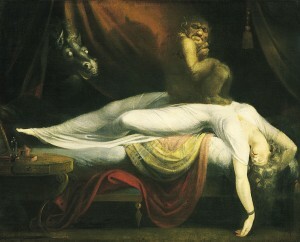 In looking up sleep paralysis on line this morning, I discovered a lot of superstitious and supernatural “explanations” of the phenomenon. One web site said it usually occurs because the sufferer has been exposing himself to, or even just researching into, the occult (I guess this opens a door so these ‘demons’ can come and bother you when you’re asleep?). 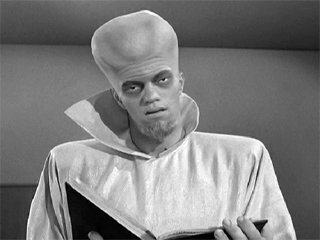 Of course, I don’t believe that crap – nor have I been dabbling in the occult… I prefer a physiological explanation. I know others will disagree.